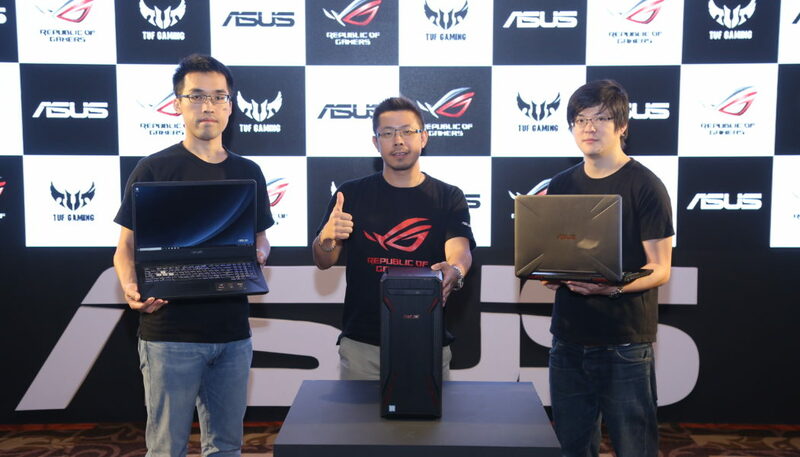 ASUS today unveiled the superior and durable TUF Gaming laptops FX505 and FX705. At15.6” and 17.3”respectively, these gaming laptops have been crafted with perfection to live up to all the expectations from high-end gaming laptop at affordable prices. Both FX505 and FX705 draw their power from up to Intel® Core™ i7-8750H processors and up to NVIDIA® GeForce® GTX 1060 graphics, offering an immersive experience, owing upto144Hz high-refresh rate NanoEdge displays. Passionate gamers will also appreciate thegigabit Ethernet and gigabit-class Wi-Fi, and DTS surround-sound audio experience. Built to endure, both FX505 and FX705 pass the MIL-810G military grade tests. It features the RGB keyboard that is loved by the gamers, in addition to WASD key cap design for intuitive controls. With the Overstroke technology, it registers keystrokes faster for precise and effortless control. Providing the best of both the worlds, FX505 and FX705 are powered by up to an 8th Generation Intel Core i7-8750H CPU, a next-gen workhorse with six cores that not only extends the best-in-class gaming experiences but also helps one easily multitask workloads. These two TUF Gaming laptops offer a completely new world with ultra-slim 6.5mm (FX507) and 7.18mm (FX705) NanoEdge display. Furthermore, the smooth in-game visuals are ensured by upto 144Hz refresh rate and 100% sRGB gamut. Both the gaming laptops offer a familiar configuration to the gamers, with the WASD key setup, a keycap curve of 0.25mm, and precise control via the OverStroke technology. Besides, the keys can withstand over 20 million presses. FX507 and FX705 offer the faster, more reliable wireless network and extended coverage with 2T2R MU-MIMO 802.11ac Wi-Fithat rockets up to 1.7Gbps, making disconnections during games thing of a past. Gaming audio would never get more real with the two gaming laptops offering 7.1-channel virtual surround sound, providing the most immersive and profound audio experience. The laptops will remain cool even during intense games, for FX507 and FX705 feature Anti-Dust Cooling (ADC) system, Fan OverBoost technology, and dual-fan cooling CPU and GPU from both sides. With powerful GTX 1060 NVIDIA GPU and i7 Intel processor and isolated air chambers the thermal design is well integrated in the design structure. Priced at 91,990 INR and available in offline channels.